This year’s John Lewis Christmas advert with the snowman treating his snowgirlfriend to some woollies has melted our hearts – and got us wondering about snow and ice sculptures. 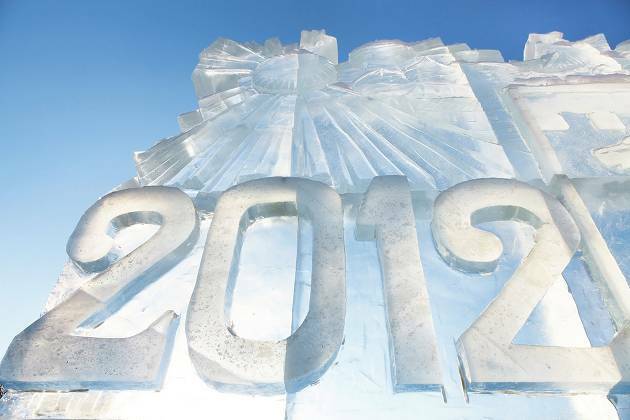 The London Ice Sculpting Festival takes place every January in Canary Wharf and is free to enter. Next year it’ll be on 11th-13th January, when 12 international chainsaw-wielding teams will be competing against the clock and each other. You can even take part; you won’t be let loose with a chainsaw, but you can go to town on an ice graffiti wall, make snowmen in the snow pit, play ice chess or check out the alpine-themed winter market. 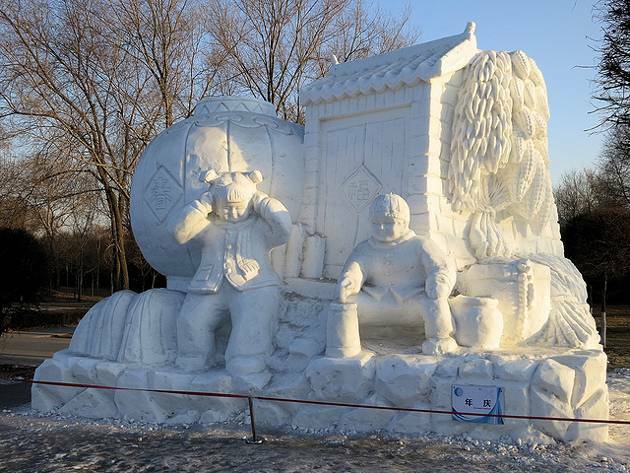 The Harbin International Ice and Snow Sculpture Festival in Harbin, northeast China, attracts hundreds of thousands of visitors from around the world every year. Within the festival are attractions such as Ice and Snow World, one of the world’s largest ice architecture parks, and the Ice Lantern Garden Party, where over 1,500 traditional Chinese ice lanterns are on display. As well as admiring the stunning sights, you can also ski, swim in the icy water (if you really want to), and skate, play hockey, or even get married on the ice! 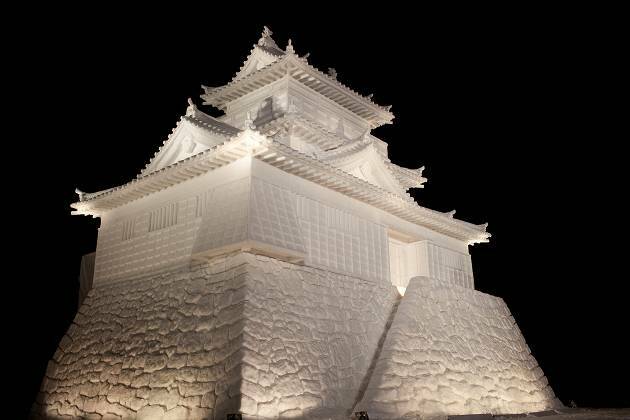 The Sapporo Snow Festival in northern Japan dates back to 1950 and has grown in size and popularity ever since. It’s now one of the country’s biggest winter events, attracting over two million people every year. Snow and ice sculptures are dotted around the city, from Odori Park in the city centre to Sapporo Tsudome, where you can enjoy snow slides and mazes and sample regional delicacies. The Susukino site is where the Ice Sculpture Contest takes place, and where you might catch a glimpse of the Ice Queen. The Bruges Snow and Ice Sculpture Festival takes place every winter next to the central train station, just a five-minute walk from the Bruges Christmas market. The magic happens in an ‘ice palace’ where the temperature is kept at a constant -6°C, so remember to bring your hat and gloves! 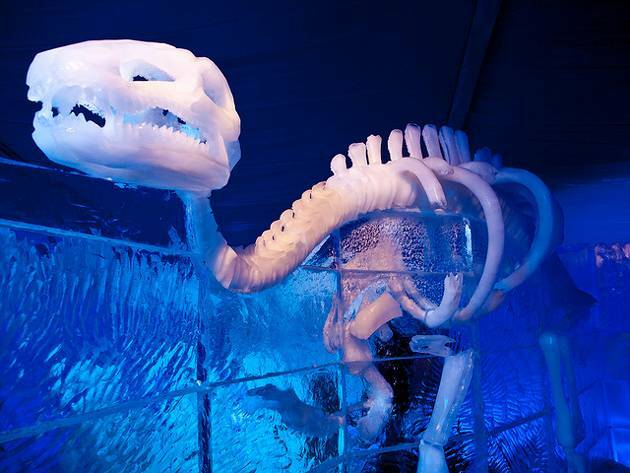 This year’s theme is Ice Magic, with sculptures inspired by the stories of Harry Potter, The Lord of the Rings and The Hobbit, built by 30 professional ice artists from 12 countries. There’s plenty of choice in Canada when it comes to celebrating all things snowy. There’s the Quebec Winter Carnival in Quebec City in February, where you’ll find snow sculptures, sleigh and canoe races, night-time parades, markets and an ice palace. 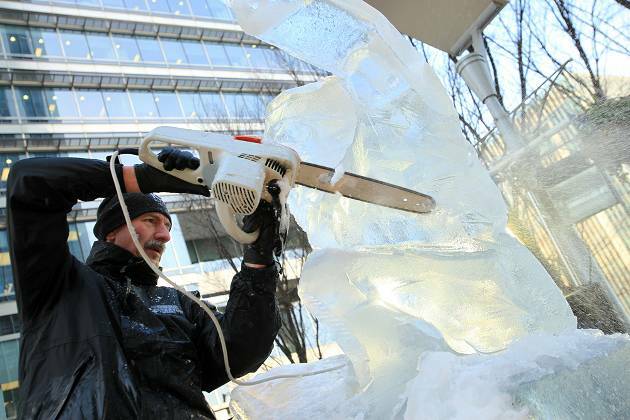 In Ottawa there’s the Crystal Garden International Ice Carving Competition as part of the city’s annual Winterlude festival. At the Yellowknife Snowking Winter Festival,in the Northwest Territories, a huge snow castle is built in which the festival’s events then take place. Ice sculpture fans will be really spoilt for choice in Russia. Competitions take place every winter in various cities, including Moscow, St Petersburg, Novosibirsk and Yekaterinburg. Some are just for professionals while others are open to anyone, but of course everyone is welcome to come and admire the creations. Just don’t forget a big hat with earflaps – it’s functional and you’ll fit in with the locals. 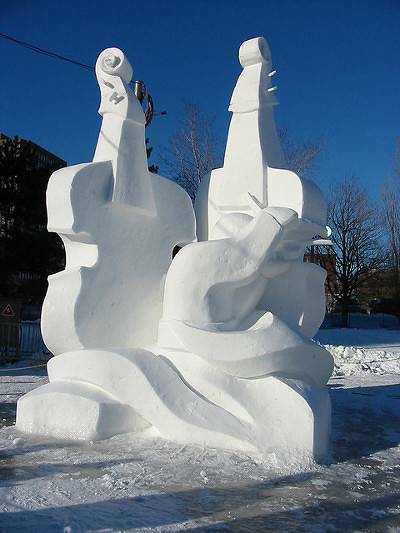 In Valloire, one of France‘s popular alpine ski resorts, you’ll find international snow and ice sculpture competitions taking place each January, featuring the work of dozens of amateur and professional artists. Next year will be the event’s 30th anniversary, so the sculptures and the celebrations are bound to be even more spectacular. 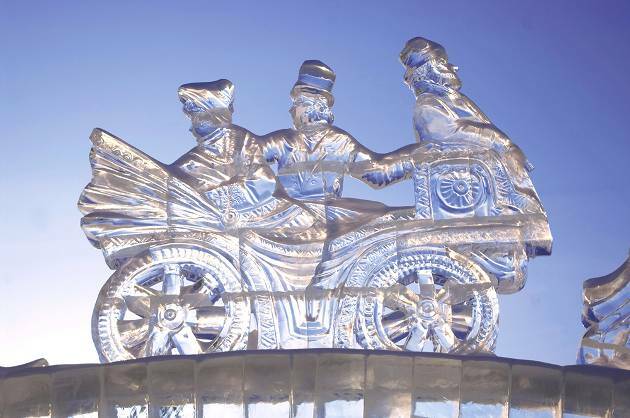 Don’t miss the ice sculptures on 18th January, where the works will be lit up in colour. After you’ve had your fill, you can ski at Sétaz and Crey du Quart, then check out Valloire’s well-known après-ski scene!